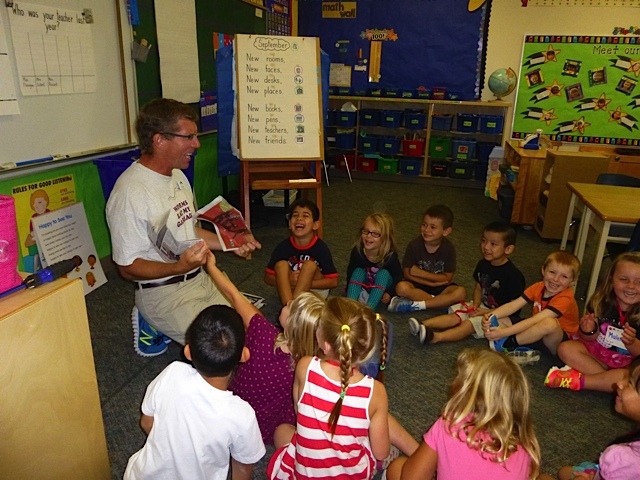 Environmental Education is a large part of Ridge Meadows Recycling Society’s mandate. 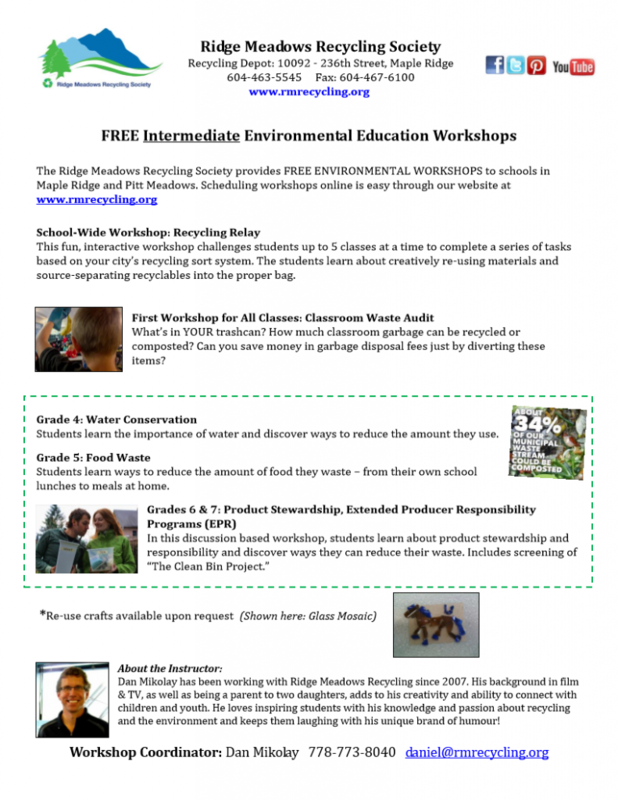 We provide free School Workshops, tours of the Recycling Depot, and special presentations to community organizations. 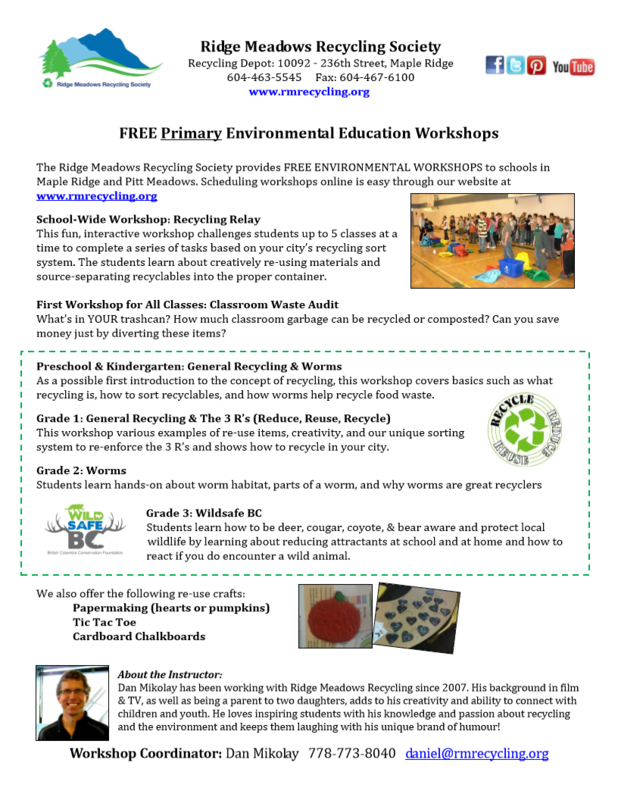 Ridge Meadows Recycling Society provides FREE ENVIRONMENTAL WORKSHOPS to schools in Maple Ridge and Pitt Meadows. These workshops are hands-on, inspiring, educational, and FUN!! Scheduling workshops through our online form is easy! In addition to school-wide workshops and classroom waste audits, we match specific environmental curriculum to each grade in order to reduce the number of “repeat” workshops for students over the years. In September and October, we schedule school-wide Recycling Relays. 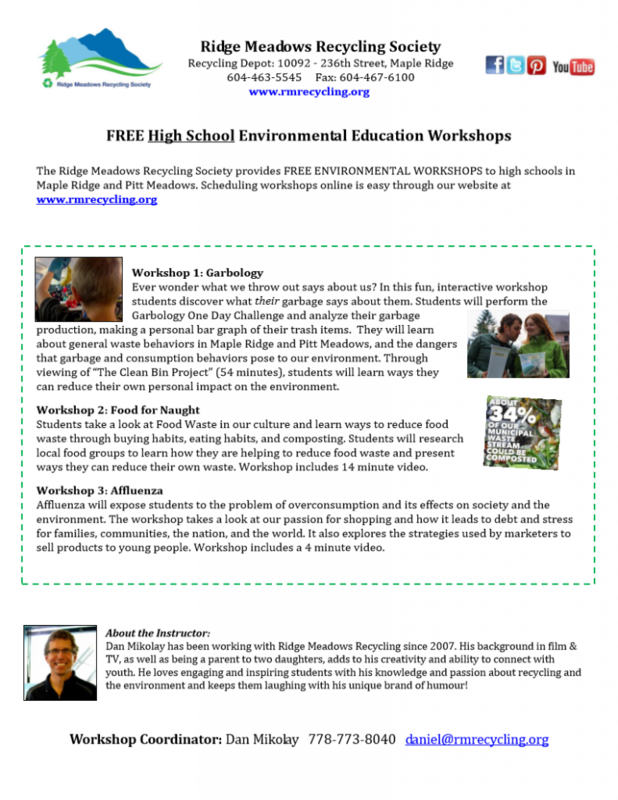 These “Amazing Race”-style group workshops teach students about recycling and also give our Environmental Educator, Dan Mikolay, a chance to meet students and teachers who may not be aware of the workshops we offer. If your school would like to schedule a Recycling Relay, Classroom Waste Audit, or any of the workshops, fill in our online form. 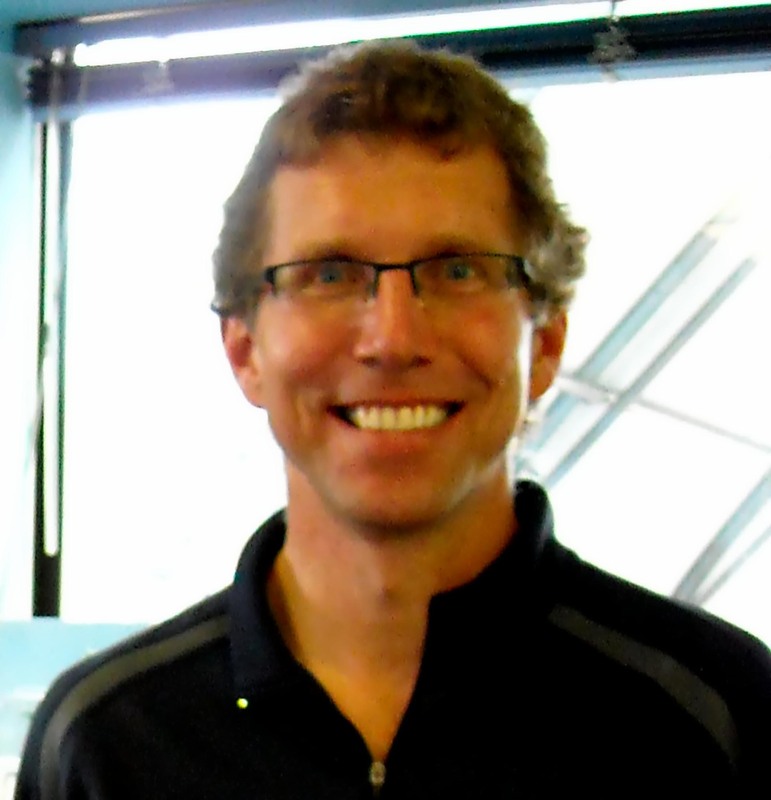 Dan Mikolay has been working with Ridge Meadows Recycling since 2007. His background in film & TV, as well as being a parent to two daughters, adds to his creativity and ability to connect with children and youth. He loves inspiring students with his knowledge and passion about recycling and the environment and keeps them laughing with his unique brand of humour!